Microgaming's software platform Quickfire has agreed a deal to supply Mr Green with a range of Flash based games. Mr Green online casino has announced a deal with Microgaming's Quickfire. The deal will see Microgaming, which boasts over 600 unique games, supply Mr Green with a host of Flash based titles. Some are already live, including Mermaids Millions, Thunderstruck, Reel Gems and Tomb Raider. It is a coup for leading software provider Microgaming, as the award-winning Mr Green consistently grows in popularity. Not only was it voted best online casino by magazine Internet four years in a row, it was also named by EGR as one of the world's most influential gaming companies. Mr Green CEO Mikael Pawlo said, "At Mr Green players expect to find the best casino games available. 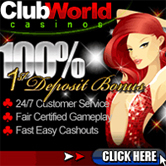 By adding Microgaming we now offer games from five different vendors." Mr Pawlo also said he is looking forward to the release of the cutting-edge Batman slot The Dark Knight this summer. The sequel slot, The Dark Knight Rises, is slated for a 2013 release.